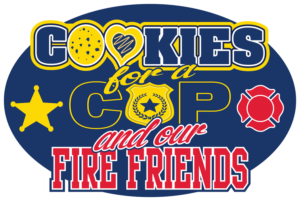 We currently have close to 70 police departments on the list with over 3,000 police officers set to receive cookies on December 22nd! Until the time comes for the baking to officially start, we are hard at work on this site and on organizing other areas / leaders. Thanks to early donations, we are already starting to deliver cookies to local schools so their resource officers can also feel appreciated. In just days, so many amazing people have come together to take the catalyst of a simple idea and make it a movement. A movement of love and compassion during a time of such tension and anxiety.